(Bloomberg) -- The president of Botswana, the nation with the world’s largest elephant population, likened the country’s travails with its numerous pachyderms to the number of Africans who have migrated to Europe to find a better life. 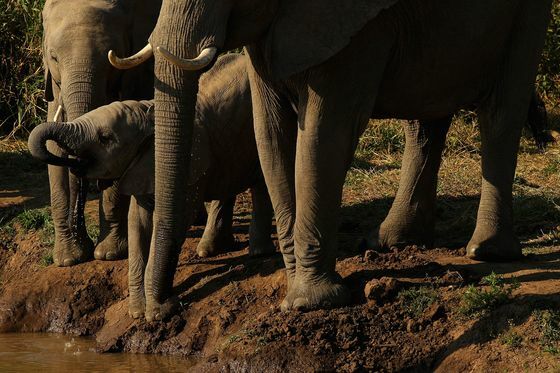 Botswana, where the number of elephants is estimated at anything between 115,000 and a quarter of a million, has been praised for its wildlife policies, which have included a ban on both the hunting and culling of elephants and a strong response to poaching. That has encouraged elephants from neighboring states - Zimbabwe, Zambia and Namibia - to move into Botswana, he said. Together the countries host about half of the world’s African elephant population. Masisi’s suggestion that the hunting ban not be renewed has touched off a firestorm of criticism from conservationists and Masisi’s predecessor, Ian Khama. Khama said lifting the ban would damage tourism, which along with diamonds accounts for most of Botswana’s foreign exchange. The current leader plans to hold public hearings on the impact of elephants and how to manage them, particularly in rural areas where people have been attacked and crops damaged. Masisi, in the recording, said while hunting will be considered, culling won’t. He said elephants are damaging ecosystems in Botswana. Critics have said hunting would have a minimal impact on elephant numbers. The debate comes before elections in October where Masisi’s Botswana Democratic Party is trying to win rural votes.